Kitchen sinks are built to last for the life of a home. However, improper installation can result in the sink separating from the countertop. Once the sink's seal is broken, water can easily leak into the cabinet space below and ruin the entire surface. Thankfully, this is a fix you can undertake by reinstalling the sink yourself. Seal your sink to the counter to prevent it from leaking. 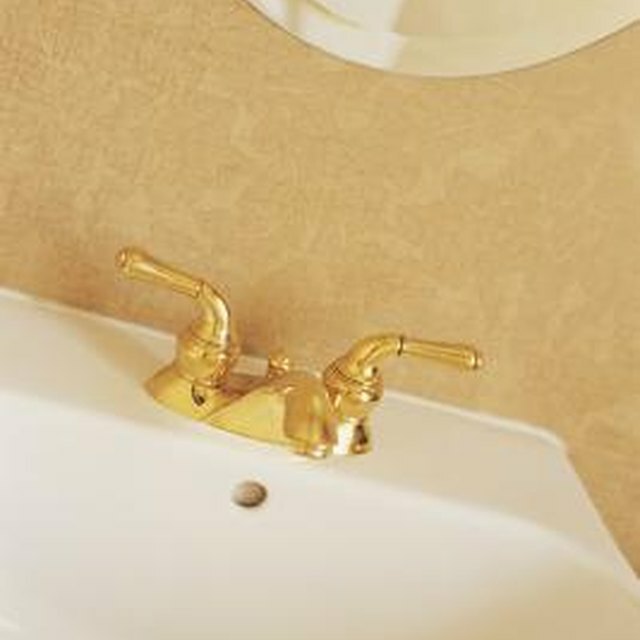 Turn off the water supply to the sink and unhook the sink from the water lines, drain and garbage disposal. Pry the sink loose from the countertop and have a friend help you remove it from the casing. Scrape away all the old caulking and plumber's putty with a scraper. You'll want the surface completely clean for reinstallation. Lay a fresh line of plumber's putty around the sink casing with a putty knife. Lay the plumber's putty on thick so that it bonds to the sink. Set the sink back into position. Spray a bead of caulk around the entire sink. Make sure there are no gaps. Let the sink dry for 24 hours before reinstalling the disposal, drain and water lines and using the sink.